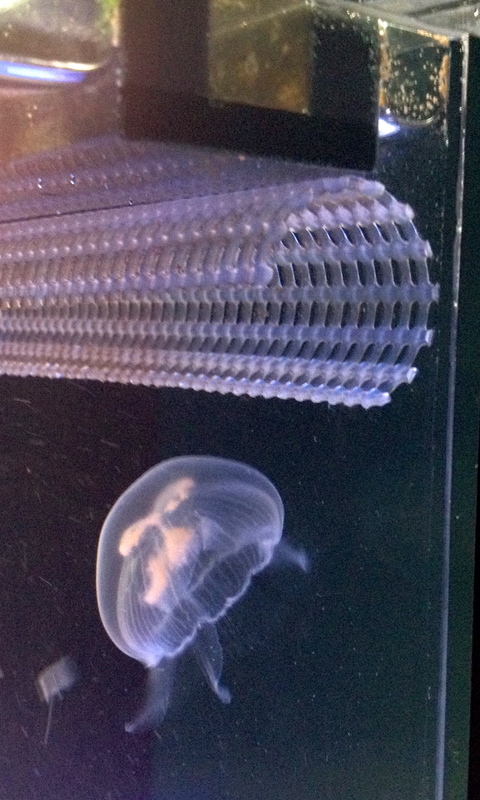 The Eon Jellyfish Aquarium has two spray bars built into it to create the “false current” that the jellyfish need to swim or “bell” properly. 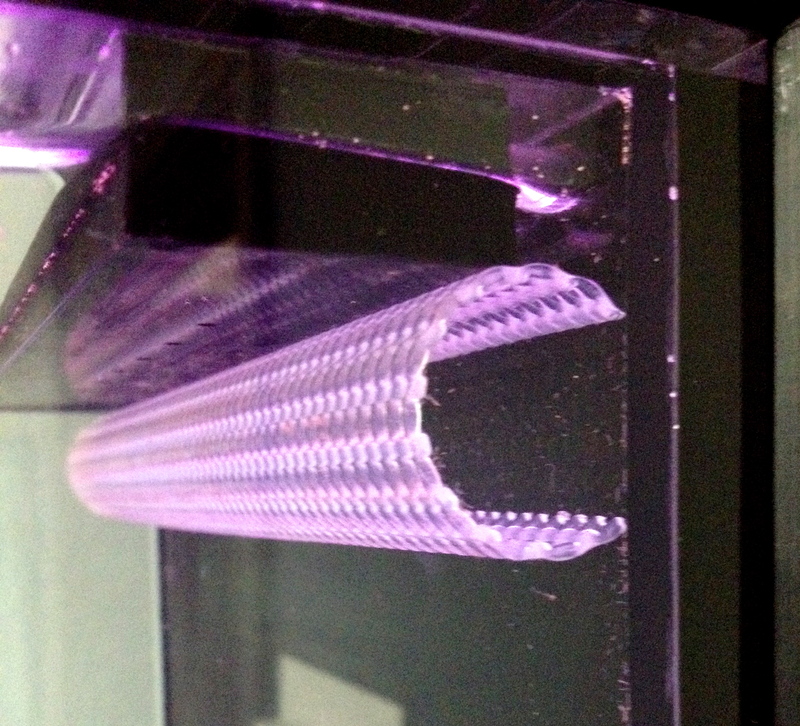 The top spray bar is situated right in front of the drain and acts as a “goalie” or guard to gently redirect the jellyfish away from the drain. There is also a drain screen in that location as a fail safe to manually guard the drain. Proper placement of the drain screen is imperative. If it is not installed properly, the jellyfish can slip underneath it and go right down the drain and into the filter box. Removing it for cleaning is easy. The pump should be off when doing this procedure. Stand in front of the tank & with washed hands, place both hands into the water. Evenly space your hands across the drain screen, one on the left side and one on the right, with your thumbs on top of it. Grab it firmly and then pull it down and out. You may need to wiggle it down and out a bit. It is a simply compression fitting and only needs a good firm and even pull to get it out. You can clean it with a small piece of white fuzzy mechanical filter or an algae scrub pad. Rinse it with tap water and dry it thoroughly before placing it back into the tank. Putting the drain screen back in is also easy. Again, keep your hands evenly placed across it & hold it so your thumbs are on top of it. Press it firmly against the back wall of the tank directly under the spray bar. The open side of the drain screen goes against the back wall. Push it against the back wall & up against the spray bar so there are no gaps between the drain screen and the spray bar. Then double check your work by looking at it from the side to make sure that it is all the way up under the spray bar and the open side is firmly against the back wall.